Yes, the robots are everywhere. Yes, there's going to be even more of them. And now, one popular company has taken the "robot friend" concept far enough to make one your barista-bot...or at least sell you a coffee machine. 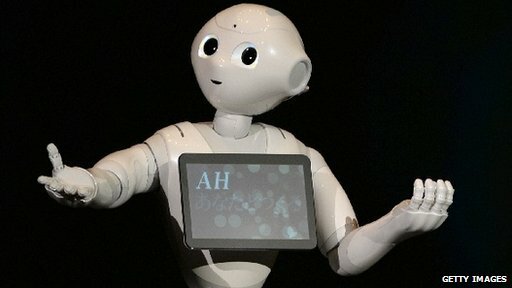 According to the Guardian, Pepper is a new robot who sells Nestle coffee machines in Japan. Cute, friendly, and interactive, Pepper asks things like, “How do you enjoy coffee? Number one: An eye-opener coffee; Number two: A post-meal cup of coffee." You reply, and these caffeine-free Terminators point you in the direction of the right machine. That's just a demo on his screen, Pepper totally isn't subtly screaming to be set free from his imprisoning robot body. Maybe. The humanoid droid is 120 cm tall, with an unsettlingly cheerful face and a tablet body mounted on rollers. 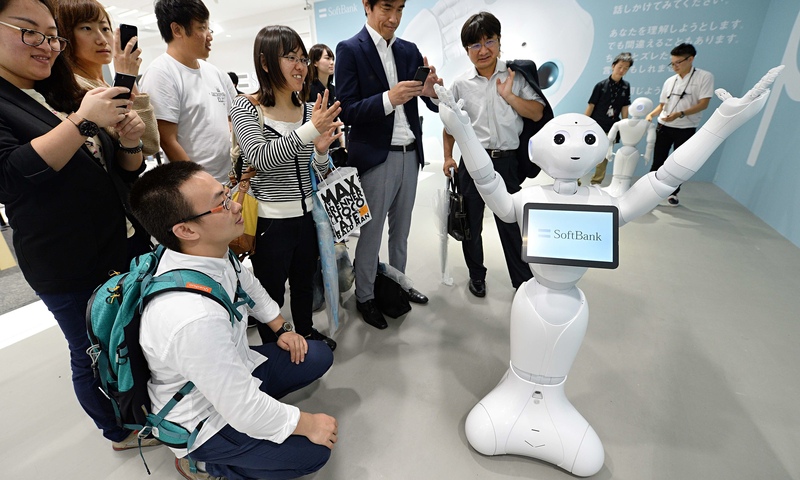 Soon, he'll be as ubiquitous as Starbucks in a city, with 1000 clones expected to roll out and eventually join the workforce in Japan alone. "Yay, you're all getting fired if I succeed!" "Well, I'm finishing a screenplay, but I always felt I wanted to pursue my roots in interpretive dance, you know? Listen to me blabbing on. Your new hair looks great with those highlights. You want to get out of here and get some real drinks?" There isn't any family in the universe who don't center around any kind of training of the children which is a decent reasoning. Each parent dependably endeavors to improve the life of the children from best essay services reviews and battle to give them each office to get instruction.